I expected that Gov. 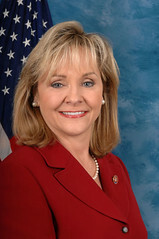 Mary Fallin’s first State of the State address would have been more partisan and ideological than it was given the Oklahoma Republican landslide in November, but a meeting that happened before her speech should worry Democrats more on a couple of levels. On Monday morning, right before Fallin, pictured right, went through the typical Republican canards of tort, workers compensation and education “reform,” a Senate committee passed a bill that, if eventually approved, would strip the Oklahoma State Board of Education of any real authority. Some outspoken Democrats have rallied around the board after some members-appointed by former Gov. Brad Henry, a Democrat-questioned the credentials of recent hires by newly elected state Schools Superintendent Janet Barresi, a Republican. Thus, the real message of the first day of the Oklahoma Legislature’s session this year: If Democrats try to get in the way of the Republican juggernaut with heavy-handed behavior, they can expect immediate and drastic consequences from Republicans. Perhaps, the state School Board and its meetings could be a place where Democrats can take stands on important issues like education funding and so-called “school choice” and start to win back voters, but it seems unlikely that picking a fight over the people on Barresi’s senior management team is going to generate a lot of enthusiasm and, frankly, even interest. This, too, should worry Democrats. Why did some Democrats here pick this battle when there are so many others to fight? As I’ve written before, I didn’t support Barresi, and I’m worried about her agenda. I worry, in particular, about the overall Republican push for so-called “school choice,” which could ultimately drain public schools of funding through an expanded voucher system or some hybrid of it. This is an important issue. Education funding here is expected to take at least a 3 percent cut for next fiscal year, and this comes after other recent cuts. This is an important issue. Who Barresi picks as her chief of staff or communications director might be an administrative problem because of institutional rules that can be easily changed, but it’s not an important issue. Democrats should pick their issues more wisely and try to find ways to reverse their fortunes. That can only happen with messages and candidates that resonate with Oklahoma’s voters. Why fight it out over who is going to write Barresi’s press releases? Meanwhile, Fallin got through her speech without using much confrontational language. She even threw out the idea of prison sentencing reform, something long championed by progressives. Her main agenda, though, is based on conservative initiatives. The odds are she will legislatively win all her initiatives over the next two years and probably many years after that. Update: Another overreach among state Democrats on this issue is that somehow the Oklahoma Constitution protects the State Board of Education and its duties. The supervision of instruction in the public schools shall be vested in a Board of Education, whose powers and duties shall be prescribed by law. The Superintendent of Public Instruction shall be President of the Board. Until otherwise provided by law, the Governor, Secretary of State, and Attorney General shall be ex-officio members, and with the Superintendent, compose said Board of Education. Actually, if the state went by a strict interpretation of the constitution, all the board members would currently be Republicans. As it stands now, the Republican Party, which controls the legislature and the executive branch, can do whatever it wants with the board. Also, do some Democrats here think that if the GOP wanted to repeal this part of the Oklahoma Constitution through a vote of the people that it wouldn’t happen?